Xceed Allen wrench with 120mm long .063 (1/16") tip. Xceed RC Products have announced the release of their extensive range of high quality tools specifically designed for use with R/C cars. 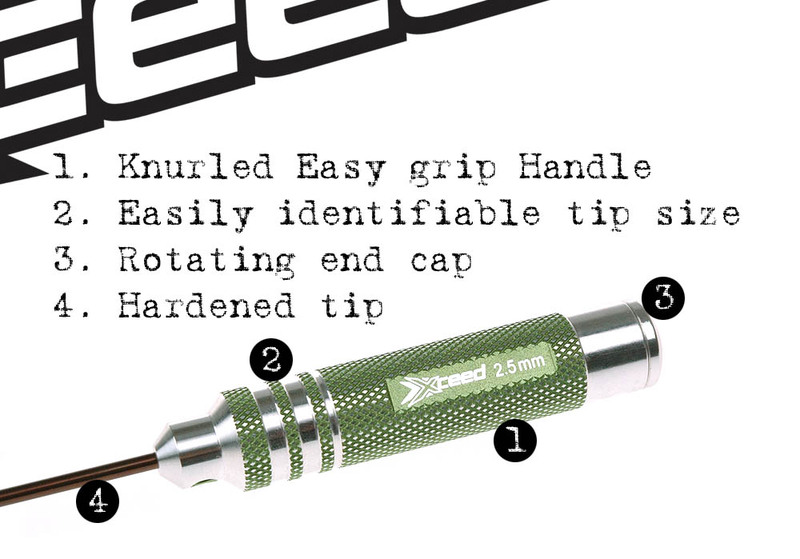 Featuring a lightweight green anodised hollow aluminium handle, the surface has been knurled for better grip in the hand while the top sports a rotating end cap for better comfort during use. Also on the handle is tip identifying rings, machined grooves that allow you to quickly determine the correct tool to pick up. 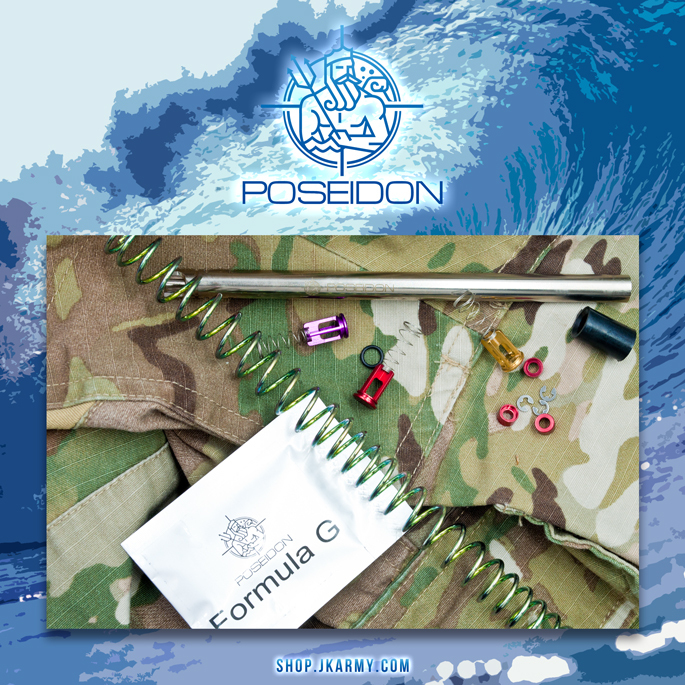 The tool tips have been made from hardened steel, which makes them very durable while continuing to ensure a good fit with the head of the fastener.